Know Your Roads! Who Is Responsible for Maintenance? 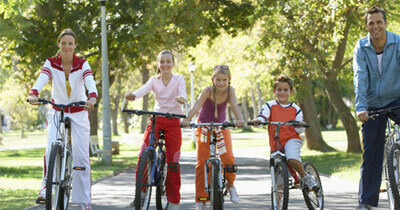 Boardman Township maintains close to 145 miles of roadways for the community. However, there are an additional 65 miles of roads in the township that are taken care of by either Mahoning County or the State of Ohio. 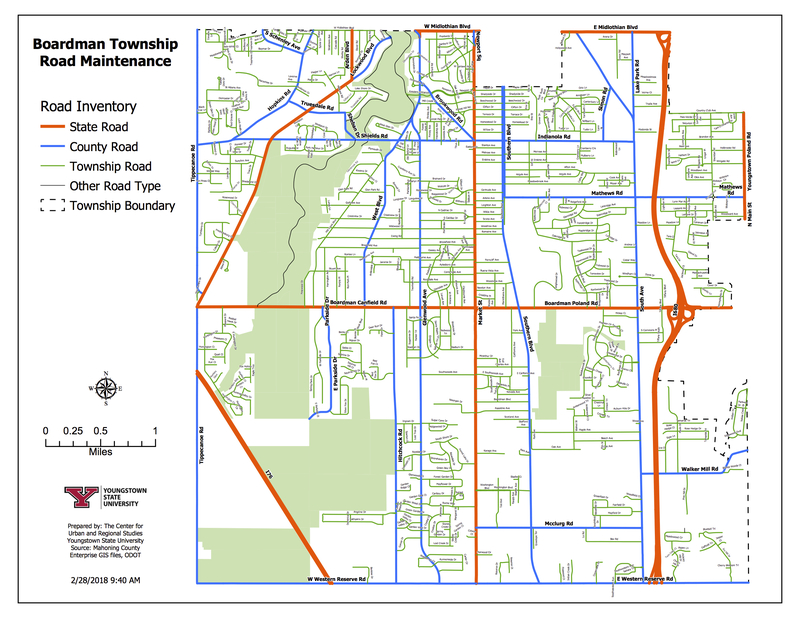 Most roads maintained by Boardman Township are neighborhood streets or shorter roads in less-developed areas. Major connecting streets and highways are the responsibility of Mahoning County or the state. 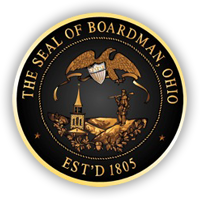 So if you’re concerned about the condition of a road in Boardman Township, make sure you contact the entity that is responsible for it. This page of our website has contact numbers for each of these entities, as well as a listing of roads maintained by Mahoning County or the state and a larger version of the above color-keyed map showing all roads in the township.